I don’t know if I am just having one of those days, but this flat out made me cry. I don’t think it is just my trembly little psyche. I think you just got that ‘thing’ that not many others have. Well thank you. Not for crying, but for the kind words. And good god, you remember the ’80’s L.A. musician dialogue to a tee. You know what? It has never changed. Word for word, right up to 2011. I’m glad to hear that my memory hasn’t failed me. I wish I had a count of how many times I had that conversation. haha..excellent stuff! It’s true..Unmasked totally sucked and truly was the beginning of the end. Loved your story here and the twist. 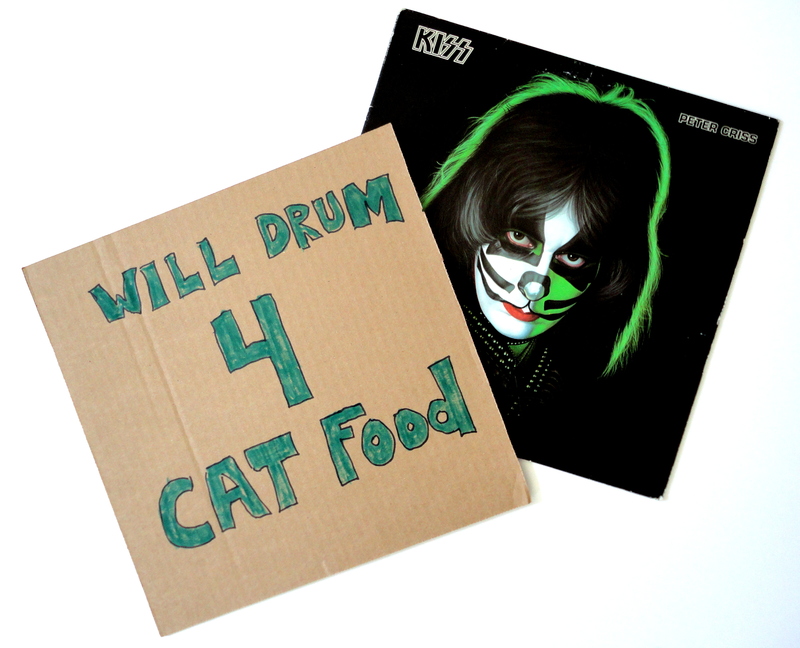 Up until you said Peter Criss I thought you were going to say Gene Simmons out on a bender. I am envious of your past life though..I’d have sold my soul to have worked a)in Hollywood, b)just down the street from Capitol and c)in a music shop. Well thank you. The posts just prior to that one are all KISS-related, too. Number 16 thru 18 are my own little KISS saga. I just twigged something and thought this a good place to share it with you. My Kiss story is still not yet fully told and chapter 13/14 will see them mentioned quite a lot, not least the first time I went to see them. It was on the 5th September 1980 at a venue called Bingley Hall. I’ll let you google the actual location of Bingley Hall.. But, as is my thang… just in case you hadn’t seen it, or was aware.. something for you and all Kissers everywhere. Eric Carr, rip… happy birthday.. Thanks for dropping in, my friend, and thank you for the list! I’ve always hated KISS, always felt they were overrated, calculating hucksters that sold a bill of sleazy, kabuki-caked goods to the world. I liked this story, though, the dance between sympathetically listening to the guy’s story and cruelly toying with him, knowing it wasn’t true. Maybe you changed his life, or maybe he’s posing as Anton Fig now.